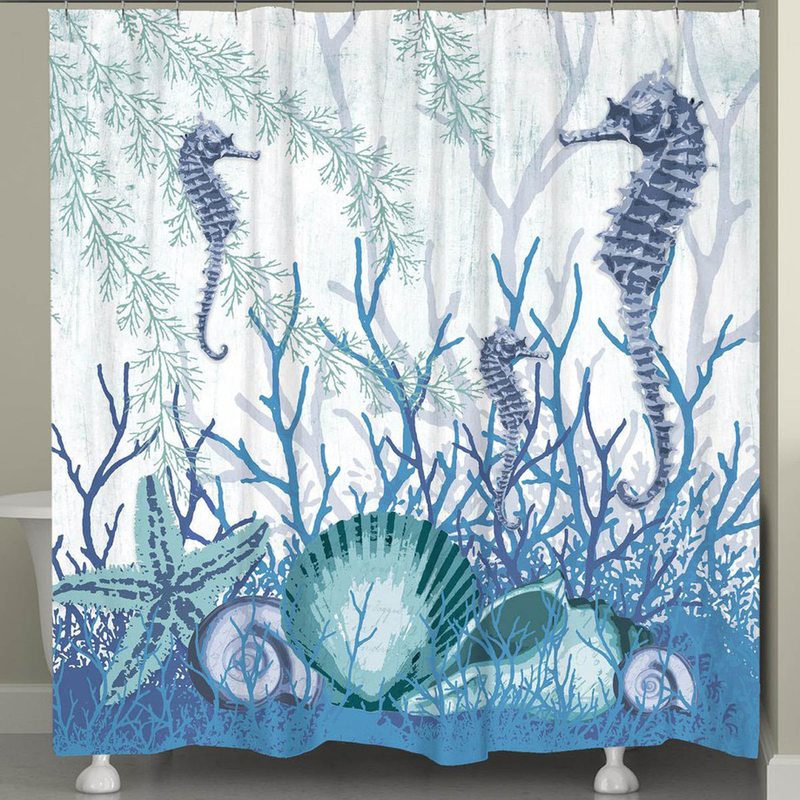 Bring the coral reefs of Newport into your bathroom with the Seahorse & Shell Sanctuary Shower Curtain. This calming beach shower curtain features seahorses and other sea creatures with distressed lettering against an off-white textured background. Ships from the manufacturer. Allow 1 to 2 weeks. Cannot express ship. For additional items, we encourage you to take the opportunity to check out our complete collection of beach shower curtains at Bella Coastal Decor now.